Hey Coffeeholic Skaters! What better way to hold the country’s biggest Skate Summit than to let two of the world’s best pro skaterboarders to lead it? This is exactly what Converse Philippines has in store for the hundreds of skateboard enthusiasts who are set to compete for the Converse Asia Crown title on March 31 at the Trinoma Mindanao Open Parking in Quezon City. During the summit, US-based pro skaterboarders Kenny Anderson and Mike Anderson are set to show Filipino skaters how skateboarding is really done with their extremely polished skate tricks that seem effortless. 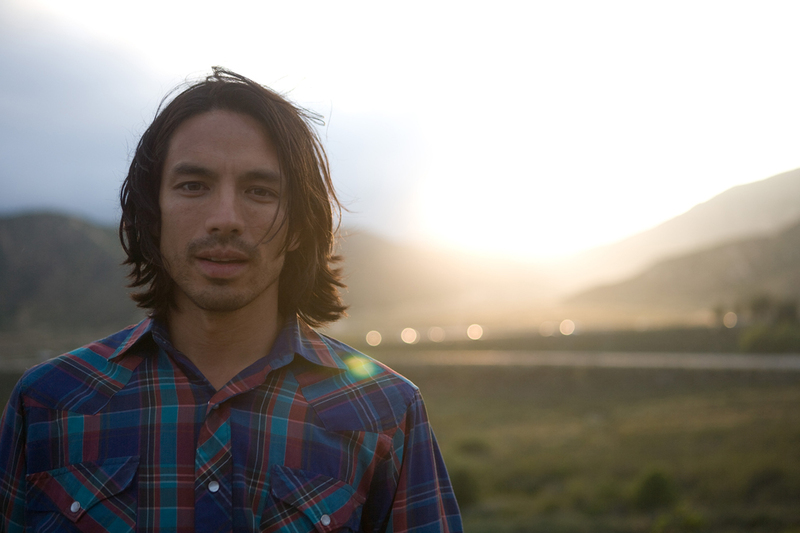 Kenny Anderson, who returns better than ever as an alumni to the Converse Skate Team (having been on the original team in 1997), is considered “untouchable” on a skateboard for his consistent style and fluidity; while for Mike Anderson’s part, his skating is often described as “effortless,” because he is said to make his tricks look as if was very easy to do. 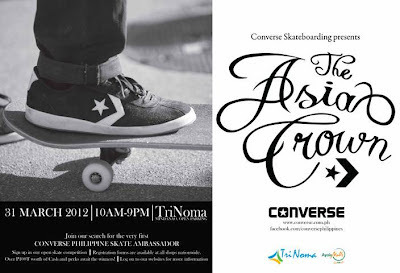 For interested registrants, check Converse Philippines Facebook page or visit www.converse.com.ph. Registration forms are available for download at the Converse Philippines’ Converse Asia Crown FB event page and in stores nationwide. 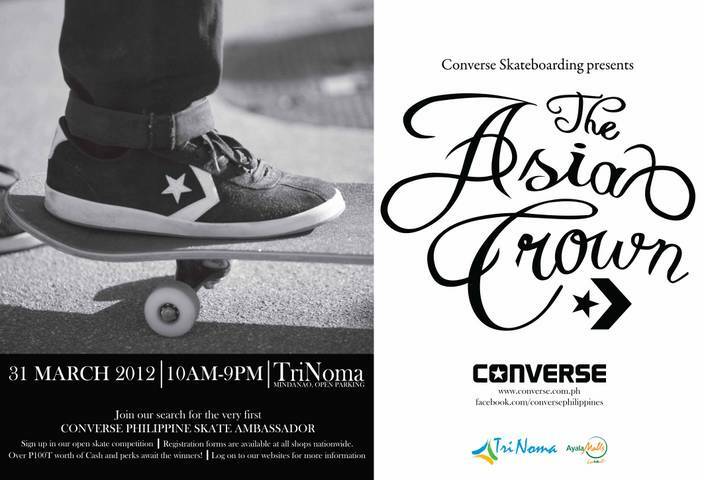 So don't forget to drop by the Converse Asia Crown event this Saturday at Trinoma! Check out the Converse Spring/Summer 2012 collection as well as it would be displayed there. See you all this Saturday!